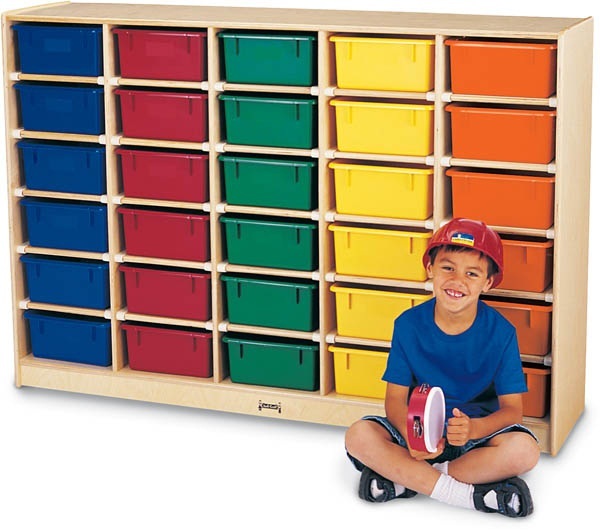 The 30 Tub Single Cubbie Unit by Jonti-Craft is a great organization tool for any classroom, daycare or other institution. 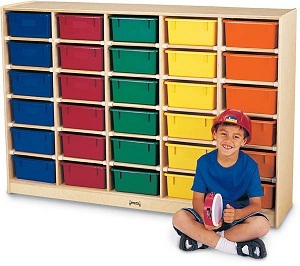 This cubbie unit will store 25 plastic Tubs or allow individual empty spaces for up to 25 students. This unit is caster mounted for easy of movement and is available with or without Tubs. Choose between the standard hardboard back or the solid plywood back which is a great way to create a room divider as well.